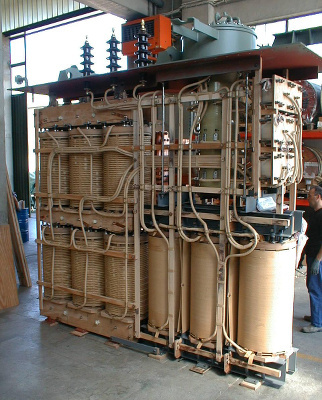 Rectifier transformers are manufactured according to the experience and the high technical know-how of SEA in the industrial sector. Multiple secondary LV windings, variable flux regulation by booster or by autotransformer. 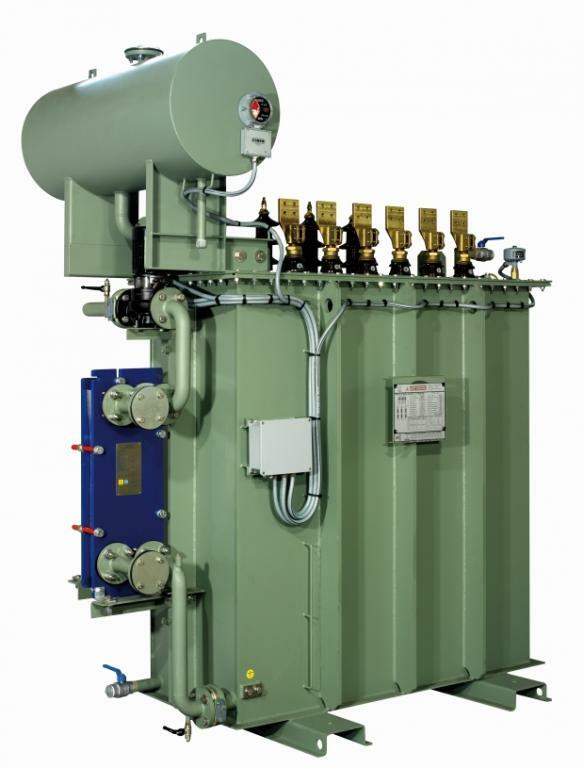 These transformers are used to feed rectifiers, converting AC sources to DC and supplying an adjustable secondary voltage by an on load tap changer (OLTC). Harmonics: Harmonic current means higher losses and hot spot temperatures in the transformer should be considered during the design process. Secondary output: High current LV terminals should be size designed in a suitable way in order to avoid any dangerous effect of electromagnetical fields. Losses: Finite element analysis permits to reduce copper losses and eddy current losses in the rectifier transformer and prevent overheating for flux leakages. Mechanical stress: strong construction to withstand to high vibration and mechanical stress should be considered.